Above is a short video of my Exercise 1 along with the song for which it was made. This interactive applet features colored tiles that can be “played” to a song of the user’s choice, in this case, Disney’s Main Street Electrical Parade. ‘1’: Play and/or pause the song. Left and Right Mouse Click: Large and small white tiles that vary slightly in size and appear where the mouse is clicked. ‘V’,’B’,’N’, and ‘M’: The middle four colored tiles of the applet. ‘A’,’S’,’D’,’F’,’J’,’K’,’L’,’;’: The 16 little colored tiles on the top and bottom of the applet. – by pressing successively W five time accordingly to the music rhythm, the program will register the music tempo and displays psychedelic bubbles at each beat. Pressing Q will unregister the tempo. 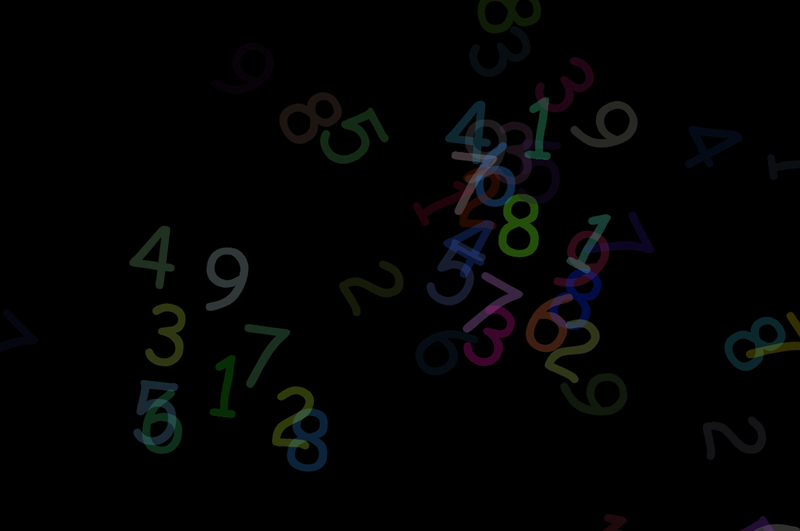 – C will throw random numbers that will move like objects on a pond. – V launches the Time Shift, where all the particles are moved back in time (ie in the background) very quickly. It is meant to match momentums in the music. 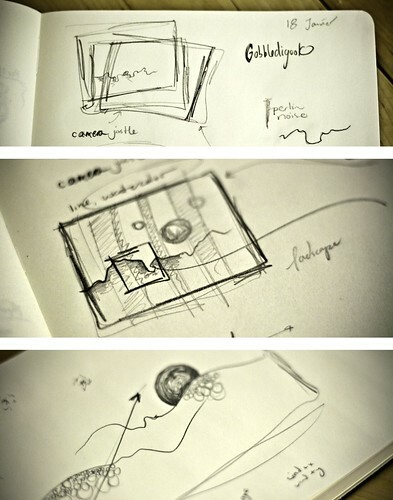 – P and M changes the field of vision of the pseudo 3D engine. – If the right click is pressed on, the image is not redrawn at each call of draw, resulting in a perceived accelerated motion. – Moving the mouse change the relative position of the camera in the 3D space. Also the class Particle3D provides an abstraction to develop all kinds of 3D object that can evolve in this space, but I haven’t explore further this possibility. The music I used was “Anyway You Choose to Give It” by The Black Ghosts, remixed by Boy-8-Bit. I’m still learning Processing so please excuse me if this reeks of tutorial stuff. I did learn a lot and tried to add different visual elements. Here’s a screenshot and code. By the way, the music was “Anyway You Choose to Give It” by The Black Ghosts, remixed by Boy-8-Bit. I wanted to create a visualization that didn’t have a specific focal point, and one that would not persist without interaction. Thus I have a warping repeated texture of dots with lights “behind” them. I like the mystery here; the dots are always “in plain sight” but you can’t see them without the lights. 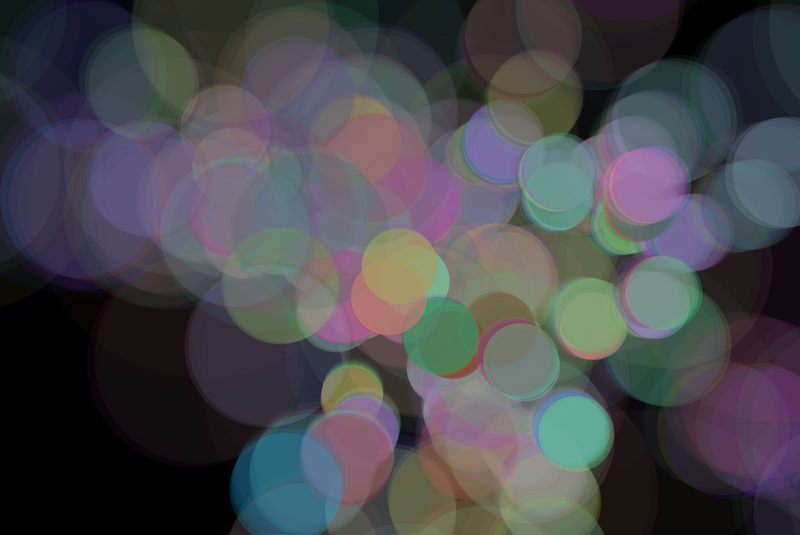 This visualization accompanies “I’d Rather Dance With You” by Kings of Convenience. 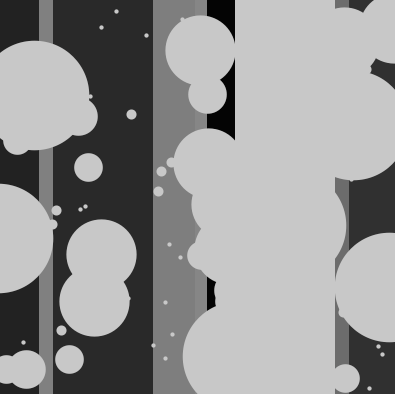 The objects are simple shapes (circles, “loud” circles, arrows, meteors) with colors drawn randomly from a set of rainbow colors, on a black background, but they are transient so it’s hard to capture a screenshot. I wanted to convey the dancing-ness of the music with fast-moving objects with colorfulness that hopefully reminds people of the disco era. The code can be found here; the input uses numbers 1-8. I wanted to create a watercolor-esque feeling, something very sketchy, and white, and bright. I don’t actually think I am super happy with the direction that I have gone with it, but it is at least aesthetically appealing (to me) While working on it I came up with maybe two or three other concepts that I want to explore. So that is good at least. I have the music on my computer since I don’t know how to upload it.